This finishes off our Piggy Party Printable set. In this last bit you get a birthday banner and party hats! A party just isn't complete without both. 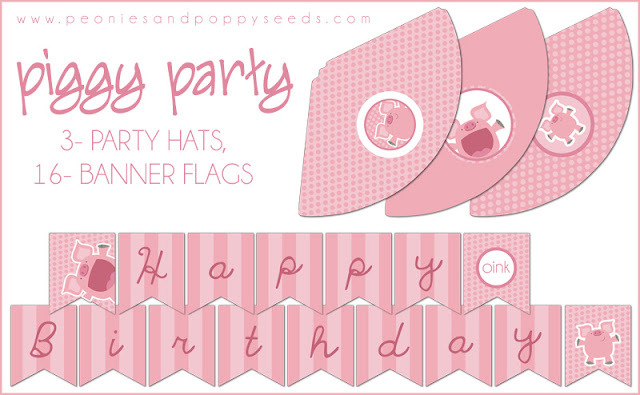 Just click to download, and don't forget to grab our other Piggy Party Printables!